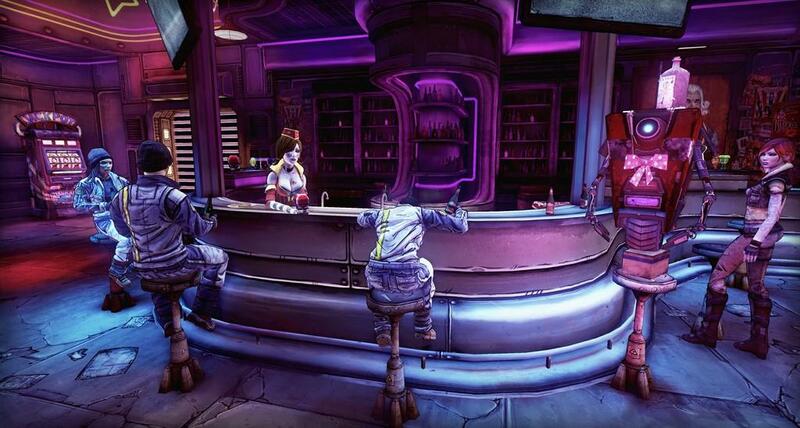 Gamers who played Borderlands 2 met a villain named Handsome Jack, the game’s antagonist. While we ultimately know he was the president of Hyperion and wanted to open a vault to awaken a creature known as The Warrior to “bring peace to the planet”, we never really got much of a background on Jack. How did he become president of Hyperoin? How did he become the power hungry person he is today? 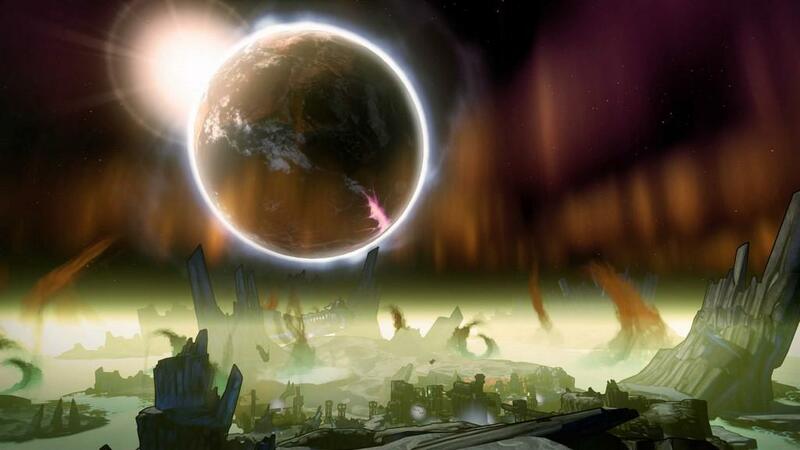 That’s where Borderlands: The Pre-Sequel comes in. Once again it’s time for a story of four new vault hunters and Handsome Jack’s rise to power. WARNING: While I’ll try not to spoil the story too much, there might be one or two times where it can’t be avoided, so I apologize in advance. 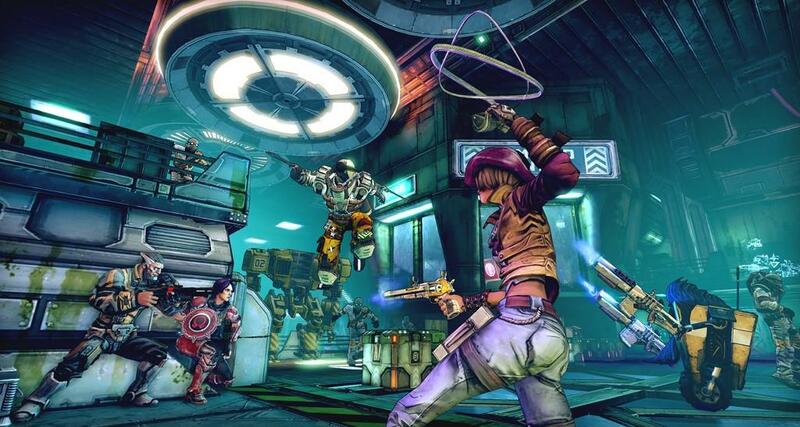 The game begins with Athena taken prisoner by Lilith, Brick, and Mordecai for helping Handsome Jack. When questioned by Lilith, Athena begins to tell the story of why they were helping Jack and how he came to be who he is today. 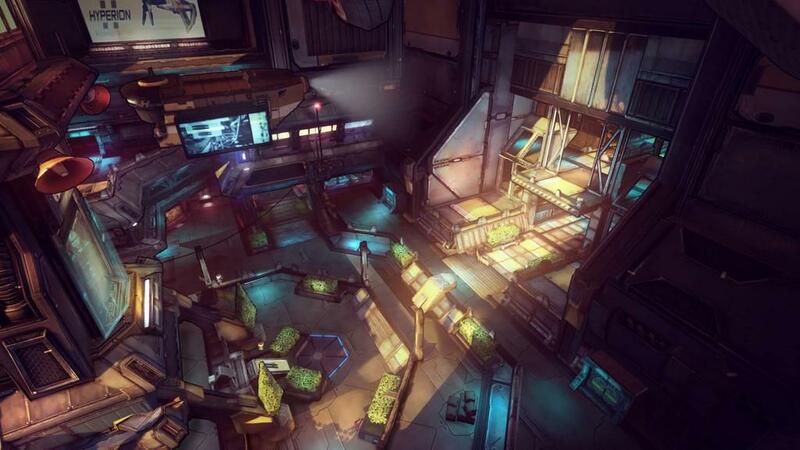 The story from here on out takes place between Borderlands 1 and 2 and you first gain control of your character on the Helios Space Station after Jack hired you to help him find a vault on Pandora’s moon of Elpis. Unfortunately the station is under an attack by the Dahl Corporation and lead by someone named Colonel T. Zarpadon. However, Zarpadon set up a signal to block Helios’s defenses, so Jack finds a way to get you off of the station and onto Elpis to find the signal. This is where the story begins to really open up, but I’d rather not spoil too much. 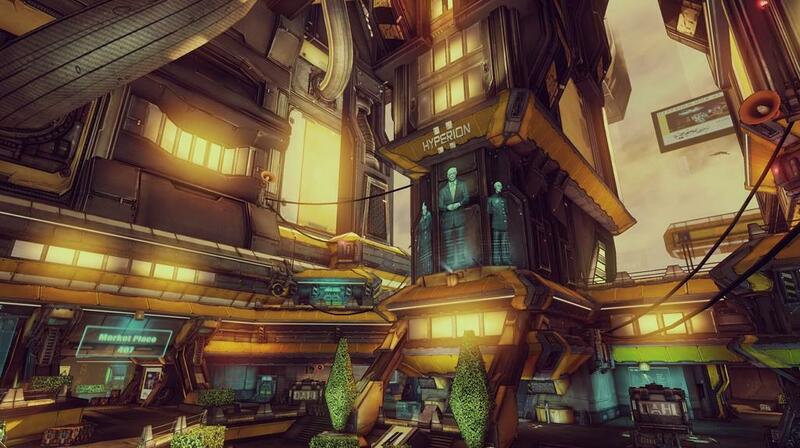 As soon as you start the game you’ll notice that everything bears a striking resemblance to Borderlands 2. That’s because The Pre-Sequel utilizes the same system and mechanics of Borderlands 2 with some changes here and there, so let’s get those out of the way first. Obviously since you’re on the moon you have to learn how to not only jump and move with limited gravity, but it’s also kind of hard to breath. Due to the lower gravity, you can now do a slam attack by hitting the crouch button when you jump. If you’re high enough in the air, you’ll do a bit of damage when you hit the ground. The breathing problem is solved by O2 kits…or Oz kits as the game calls them. These replace the relics from Borderlands 2 and provide some similar enhancements as well as giving you a limited supply of oxygen. Once you run out of oxygen your health will go down until you die, but you can quickly refill your Oz kit by getting inside a building or by finding oxygen domes or geysers. Some enemies also drop oxygen canisters that can replenish about 25% of your total oxygen. We also have a new element known as cryo which is a freezing element that can slow down and potentially freeze enemies. As with other elemental effects, enemies that are frozen will slowly lose health. There’s also a new weapon type: lasers. Nothing really special to say about them as it’s just a new gun type, but depending on which one you get it can be rather unwieldy. This is because lasers with a high fire rate tend to have bad…recoil I guess is the best word for this, as once you fire the laser will move all over the place and it’s hard to keep it where you want it to be. I didn’t find myself using lasers or cryo weapons all that much, but in a tight spot they can be useful. 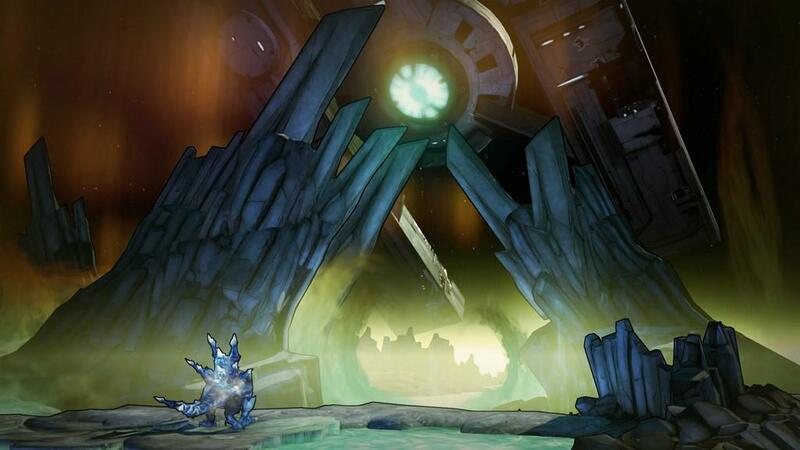 Moonstones are a new item that replaces Eridium from BL2 and serves the same function. Most of the time you’ll spend them at Crazy Earl’s to buy some upgrades and you’ll have an easier time finding moonstones than you did with eridium. There are also a couple other uses for moonstones. First, you’ll eventually have access to a grinder where you can put in three items of the same type (shield, gun, etc.) and it’ll spit out something different based on the level and rarity of what you put in. You can also use moonstones to improve the quality of what comes out. The other main use for moonstones is to open a few rare white chests you find around Elpis, but I’ll hit on that in a moment. Now that the new stuff is mostly out of the way, there were a couple of changes that were made that I wasn’t too fond of. Items can still be marked as “favorites”, but you can no longer mark things as trash. Whenever you hit a vending machine and hit Delete, anything not marked with a star will be auto-sold. This can get annoying when you forget to mark something you wanted to keep and accidentally sell it. Another change goes back to Crazy Earl. You can buy upgrades like you did in BL2 from Earl, but now each upgrade can only be bought five times before it’s sold out. I was hoping you could buy more upgrades in True Vault Hunter Mode, but sadly this isn’t the case. 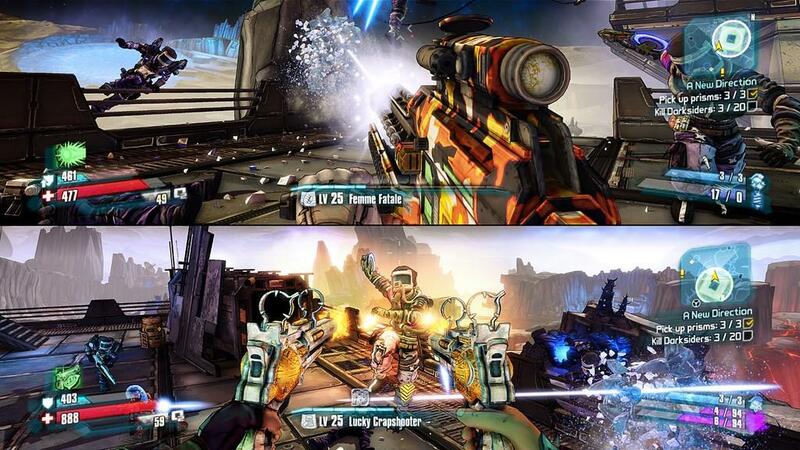 However, each upgrade seems to give you more ammo than BL2’s upgrades did, so it balances out. Finally we have the vault hunters themselves. While I didn’t have time to level everyone and check out their skill trees beyond Nisha, I did at least check out their action skills. Nisha’s Showdown skill lets her crosshairs auto-aim to nearby enemies and gives her an increased fire rate during the duration of the action. Even though this is auto-AIM and not auto-HIT, it still has its uses, especially once you get down her skill trees to where any enemy hit during Showdown will receive additional damage once it’s over. Claptrap’s VAULTHUNTER.EXE skill analyses the current situation for things like shield levels and number of enemies, then deploys an Action Package that can be one of a number of things, like a weapon buff that also decreases accuracy or making him and his allies throw grenades uncontrollably. Claptrap will also regain his health and shields when the skill is activated and this is offset by a forty second cooldown. Athena’s Kinetic Aspis allows her to absorb a finite amount of damage with her shield (based on your level) and throw it at enemies to deal some of it back to them equal to its base damage plus double the stored energy. Finally, Wilhelm’s action skill is Wolf and Saint, where he’ll create two drones to fight by his side. While Wolf goes on the offense, Saint stays by Wilhelm to recharge his health and shields. One of my favorite parts of Borderlands 2 returns for The Pre-Sequel, and that’s the excellent dialogue and narrative. As the game progresses you’ll get some narrative about the story from Athena and the other characters from Borderlands 2, and just about everyone from BL2 makes some sort of appearance or cameo in The Pre-Sequel. Another huge change is that, for the first time that I recall in the series, your characters will actually talk, and some of the response and dialogue from the NPCs will actually change depending on your character. It really beats having every character call you a guy when you’re playing the only girl in the group back in the first two games. As always though, I think my favorite lines come from Jack himself. His tone and mannerisms change over the course of the game, but still not wavering from what was present in BL2. As for Shift Codes, they will also return, but the copy of the game I received to review didn’t have the ability to utilize Shift Codes yet, so sadly I can’t comment too much on that, but if I had to speculate I’d say they’d work the same as in BL2. I did get a newsletter from Gearbox recently that had codes for both BL2 and TPS, so I’m taking that to mean that the Golden Keys are exclusive for each game, meaning my 180+ keys in BL2 can’t be used in TPS. So with all of the positives about the game and all of the new changes, there unfortunately have to be some setbacks. I’ve already mentioned two: the limited amount of upgrades and accidentally opening the white chests without paying attention to shelling out forty moonstones. There are a couple of other things that bothered me throughout the game, and they revolve around the game’s difficulty and length. The length of the story feels shorter overall than in BL2. Back when I first fought The Warrior I was around the early to mid-30s in experience level and had done a majority of the side quests. In The Pre-Sequel, heading into the final battle I was roughly at level 26. This was mostly my fault as there were a several missions that I hadn’t discovered yet (and honestly I can’t recall how many I could have discovered before the final boss), but the story itself isn’t quite as long as BL2’s story. Another minor issue is the difficulty which seems a bit higher than in BL2. Once you defeat the Warrior in BL2, provided you went into the battle no more than a level or two below him you were pretty much ready for True Vault Hunter Mode. If you try that here you’ll likely have a tough time. Thankfully as I said above, there are several more missions that become available once you beat the final boss. It’s also worth noting that in one of the areas called Triton Flats, the enemies actually scale with you, so while you’ll still only get a few hundred XP per enemy you defeat, it can be considered a decent area to grind for that extra level or two before heading into the final boss or TVHM. Finally, there still is the occasional bug or glitch that will come up. The only glitches I found were just a couple of collision detection issues where a character walked through a bounty board (which it seemed like not many of the optional quests came from this time, most of them came from an actual NPC) or you actually walking through an NPC (trust me, you don’t want to see what Jack’s really like on the inside). There were a couple of times however where a quest or two appeared bugged. For one quest I couldn’t get the person I was trying to find to show up no matter where in the area I was, but quitting the game and going back in caused her to show up. The other bug I hit was where I had to kill some soldiers with critical hits to get them to drop their brains (it’ll make more sense when you get the mission), but most of my critical kills didn’t count for some reason. It was like in WoW where enemies might drop a quest item when killed, but not often enough. I know this review has been quite longer than my past reviews, but having been a fan of the series since the original Borderlands, I really enjoyed The Pre-Sequel. I know some people were a bit put off by the fact that it’s still a sixty dollar game that feels like an incredibly long DLC pack, but I wouldn’t quite go that far. While I do think that $60 might be a bit much for this one due to the shorter story length, I wouldn’t have gone much lower than that. Obviously there will be DLC in the future which I’ll be eagerly anticipating, but for now, The Pre-Sequel was an enjoyable experience and I’ll be looking forward to the challenges in TVHM. 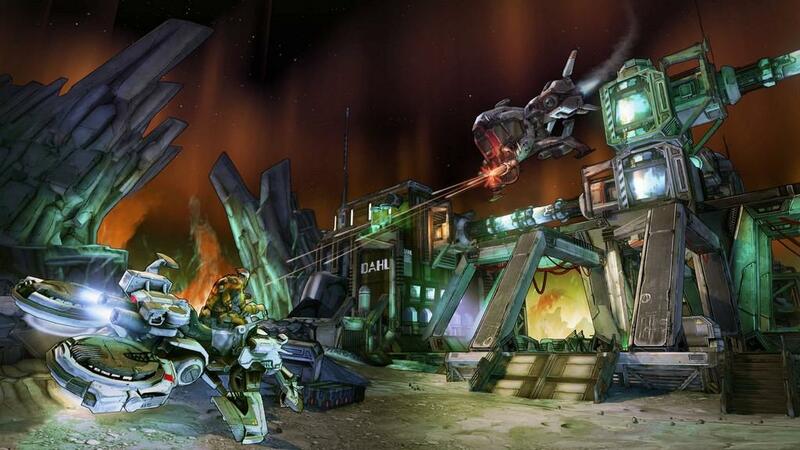 If you enjoyed Borderlands 2, you’ll likely enjoy The Pre-Sequel. 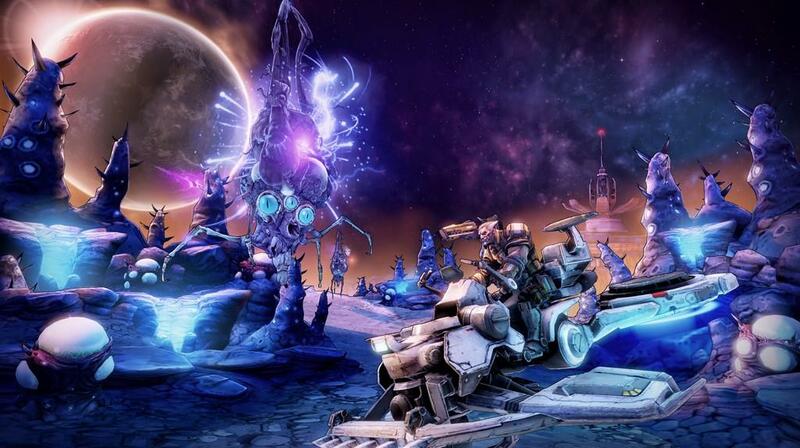 Borderlands: The Pre-Sequel isn’t without its issues, but it’s still a fun game. 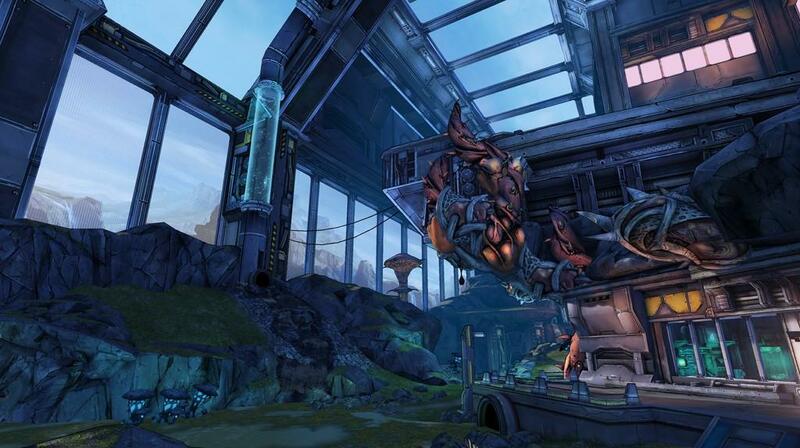 Mostly everything about Borderlands 2 is present in The Pre-Sequel with a few changes, some good and some bad. Overall though, with the excellent gameplay, somewhat higher difficulty and challenge, and the excellent dialogue and narrative by characters both old and new, fans of Borderlands 2 will likely get the same amount of enjoyment out of The Pre-Sequel.